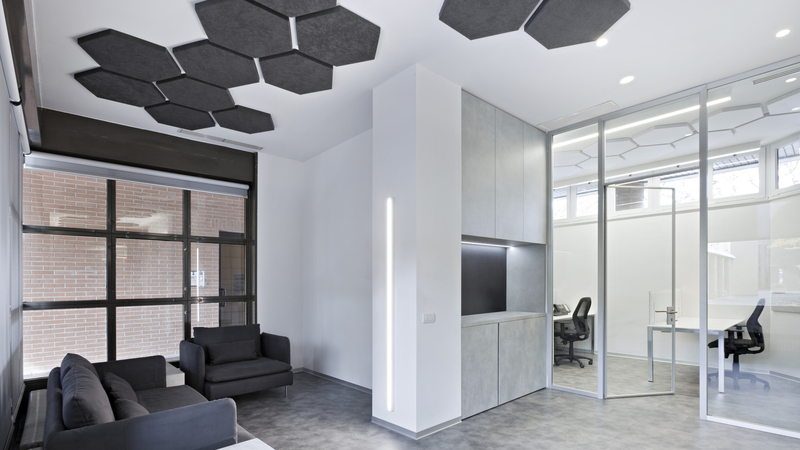 The renovation design of the headquarters of Parametric Design, responds to the desire of the customer to get a new layout with wider and brighter spaces and, at the same time, able to respond to the problem of noise pollution, which is an inevitable consequence of such a working environment. New partitions glass divide the different working areas, in order to obtain a unitary perception of space. 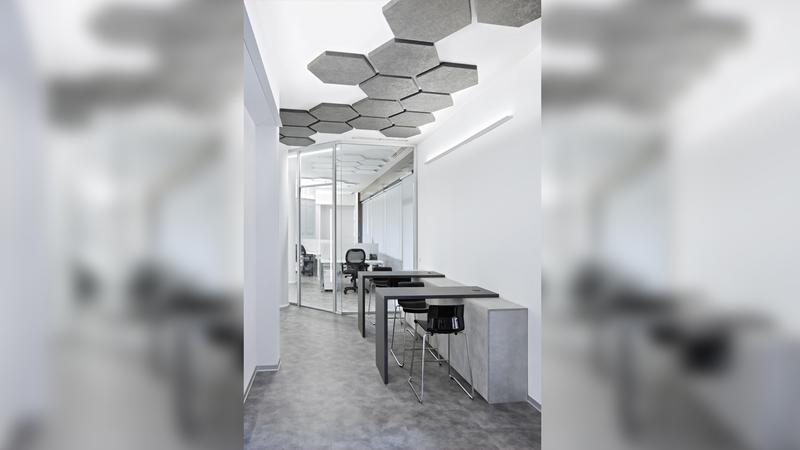 For the acoustic comfort, we used sound-absorbing ceiling elements of hexagonal shape, which also contribute to underline the functional areas and the workstations. The ceiling linear lighting elements “run” along the partitions glass, in order to enhance its “segmented path” within the space. 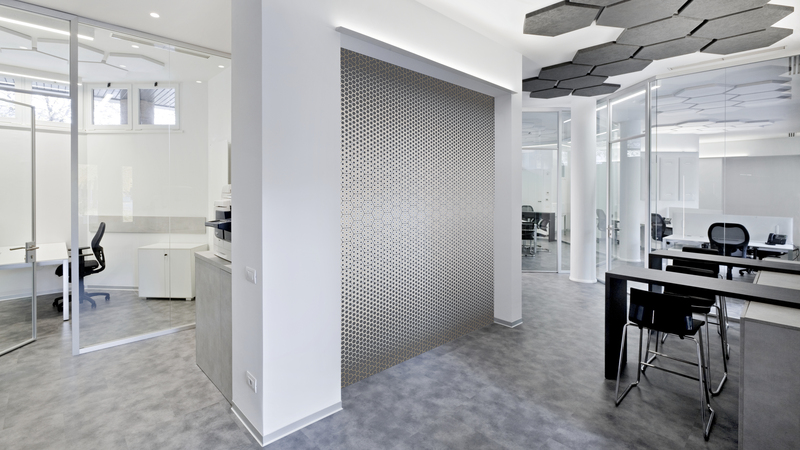 The sober shade of colors that we used for both flooring materials and custom made furniture, give to the inner space a coherent look with the style of Parametric Design.